I’ve carried a Burt’s Bees Beeswax lip balm in my handbag for as long as I can remember. 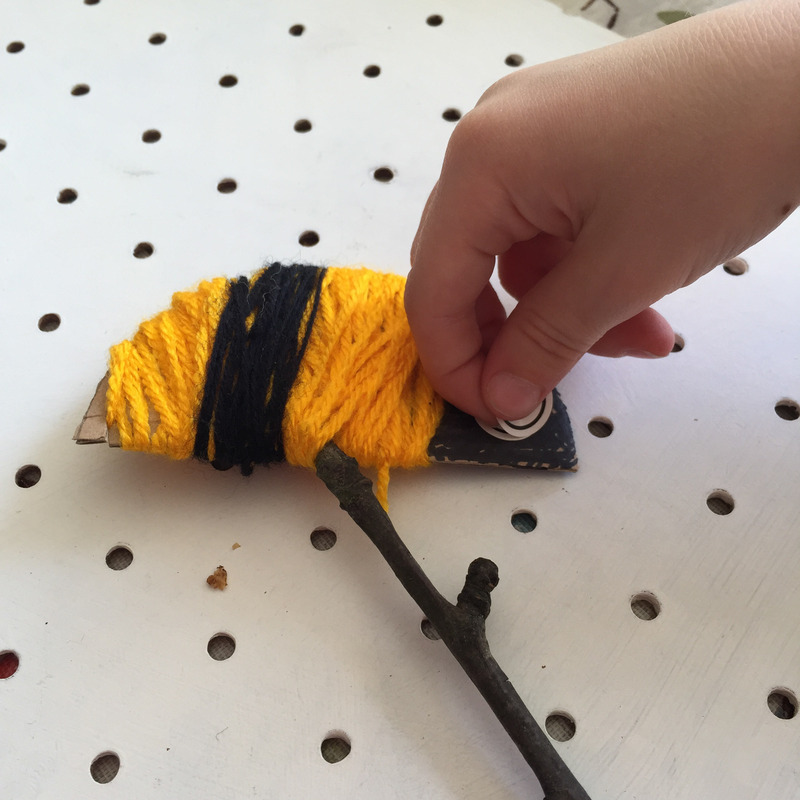 Today I’m sharing a fun kid’s craft inspired by my love of Burt’s Bees products and the wonderful bees we need to encourage. I don’t wear a lot of make-up but I do love to keep my lips soft and nourished and the beeswax in Burt’s Bee products seals in hydration. The products are 99% natural which is why I’m happy to share them with my daughter too. 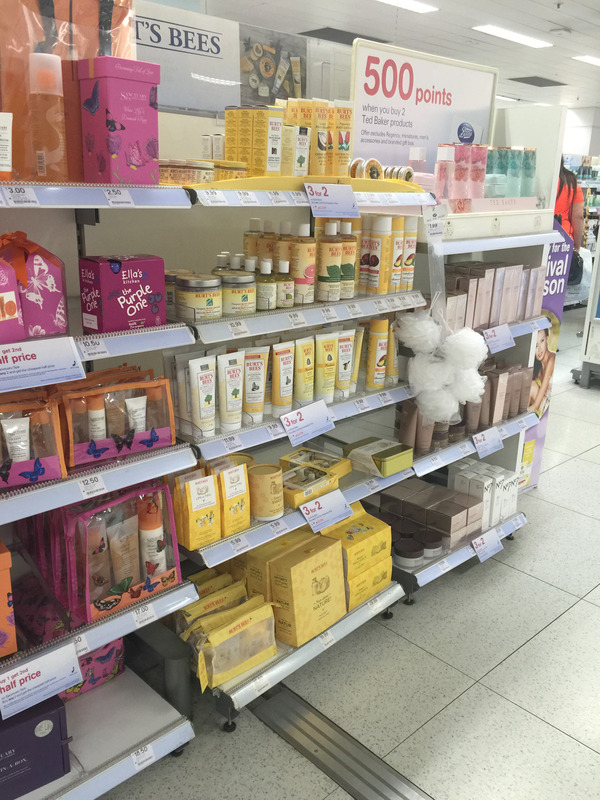 She’s at the stage where she wants exactly what I have and loves to look through the products when we go to Boots. I love the philosophy behind Burt’s Bees – working hard on natural products and leaving goodness behind, just like bees. I love bees and we really try to encourage them into our garden. Bees are more than just wax and honey and this year we’ve planted some bee-friendly plants to persuade them to our garden. I love the fact that females play such an important role in the bee community. Bumble bees are social insects ruled over by the queen bee. The female bees really work hard together to feed and nurture the colony. 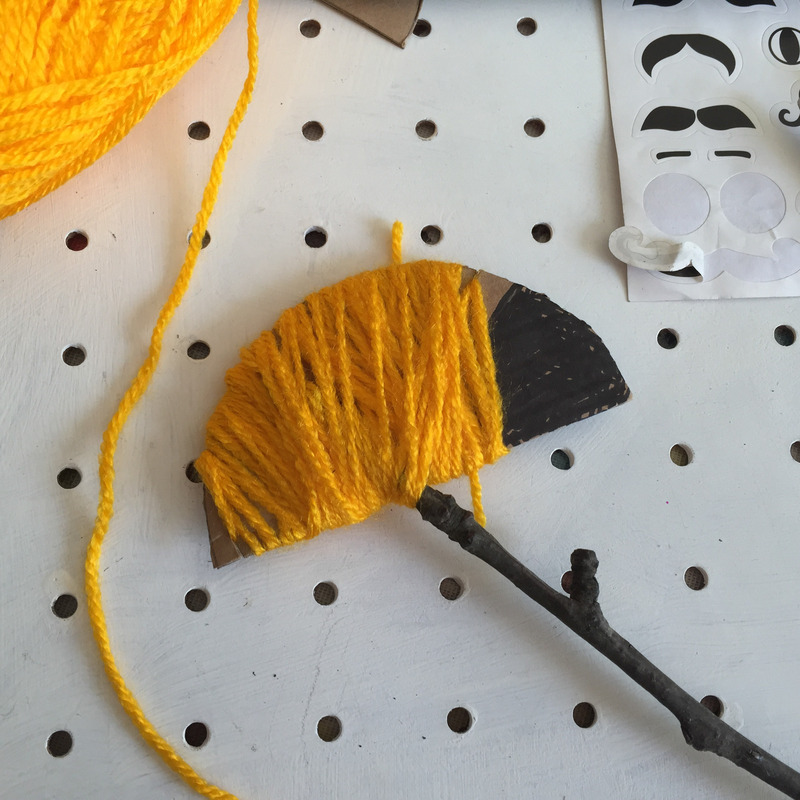 This is a message I wanted to share with my daughter, how important female bees are to their community, and it inspired a fun craft activity too! 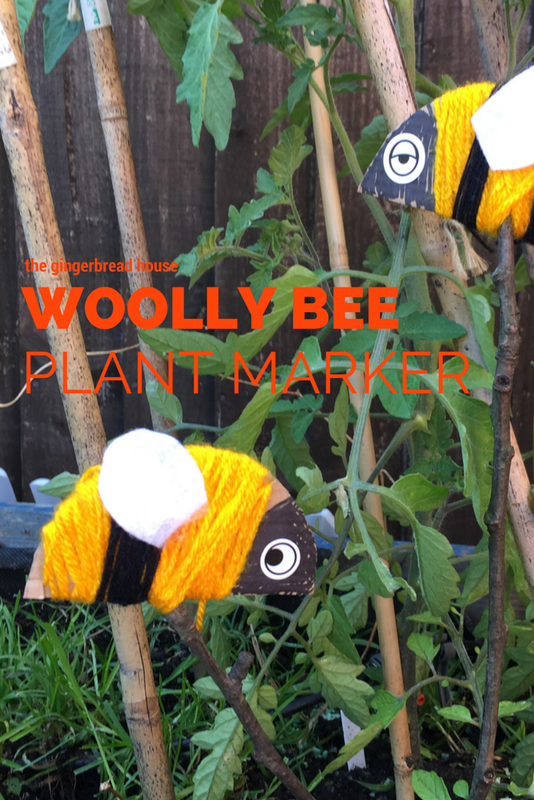 These woolly bee plant markers are a great craft if you’re learning about bugs and can easily be adapted for other bugs and insects. 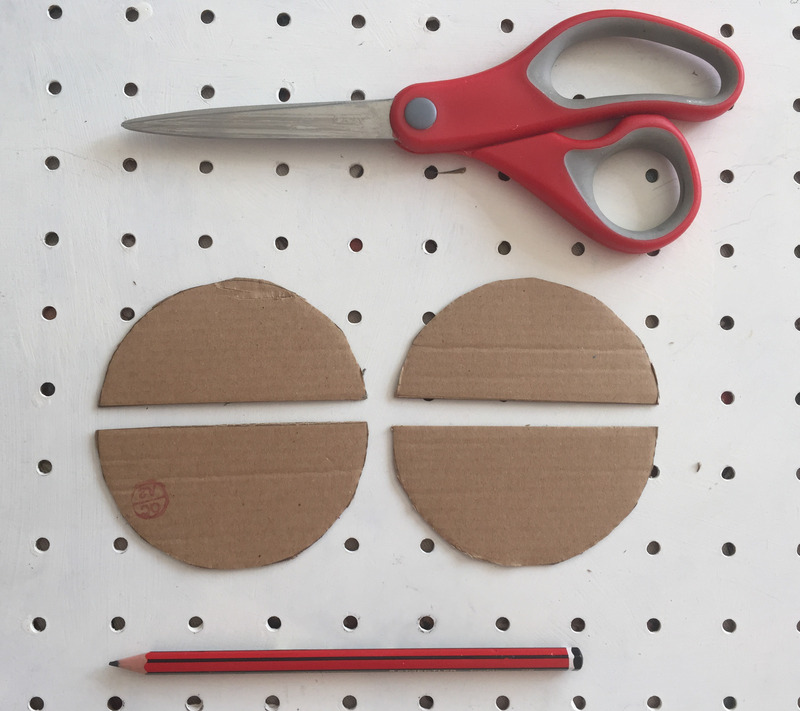 First cut two circles from thick cardboard and cut them in half for your bee body. Mark out the face area and colour in with black pen. 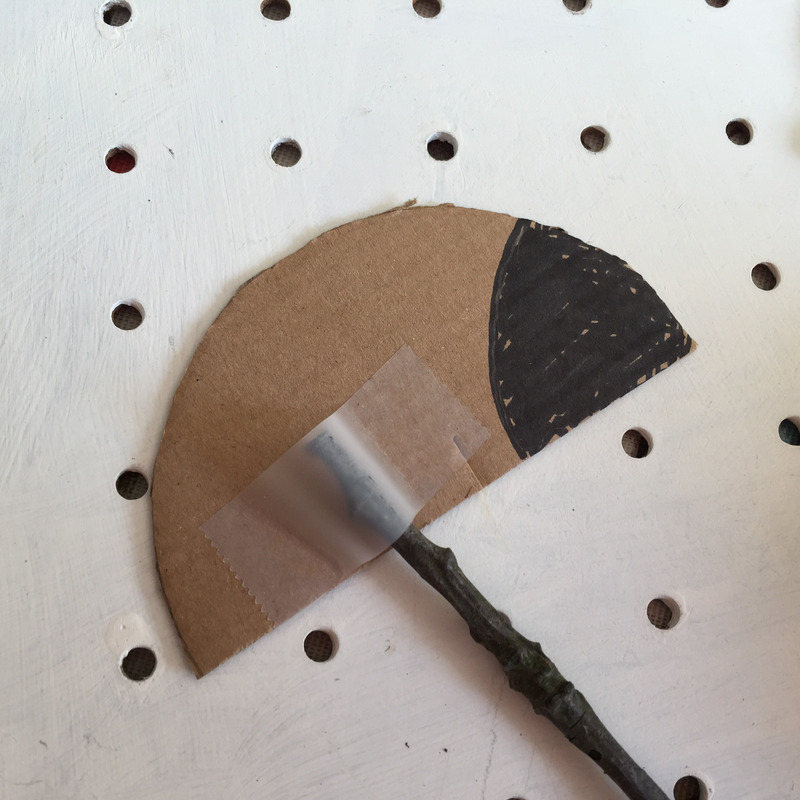 Place your bee body at the top of a twig and hold in place with sticky tape. Get wrapping your bee body with wool. I added double-sided sticky tape to either side of the body to make sure the wool stayed in place. 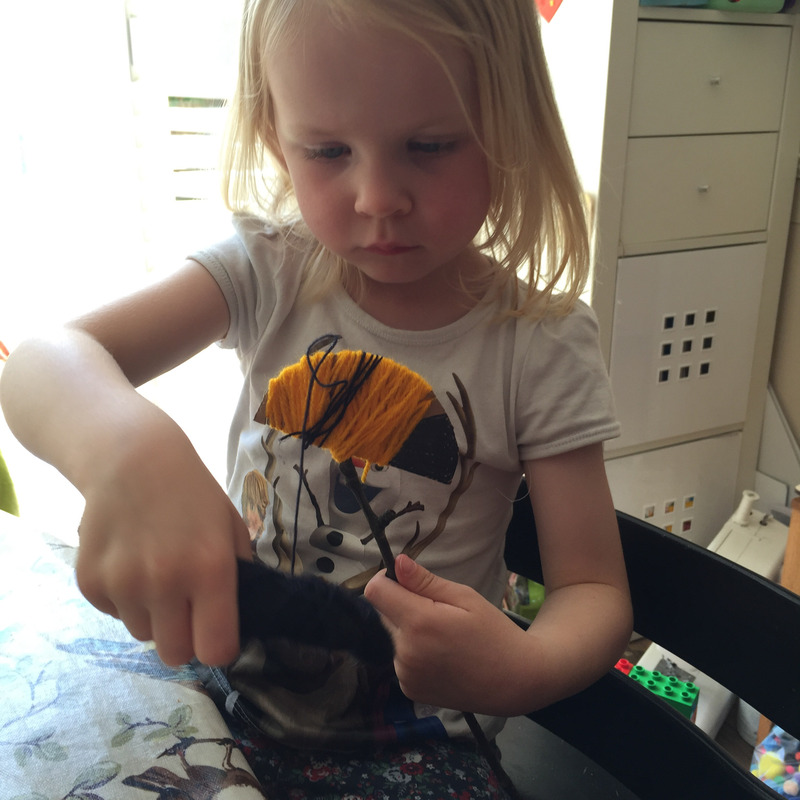 Then my daughter carefully wound the wool around the body and twig. When she had finished I cut the wool and tied a small knot, pushing the end inside the wool. Then she added a stripe of black wool. To finish our bee off she added a googly eye sticker and a small wing of white felt, held in place with more sticky tape. We made a couple and added them to our pallet vegetable box. Hopefully we’ll see some real bees soon. 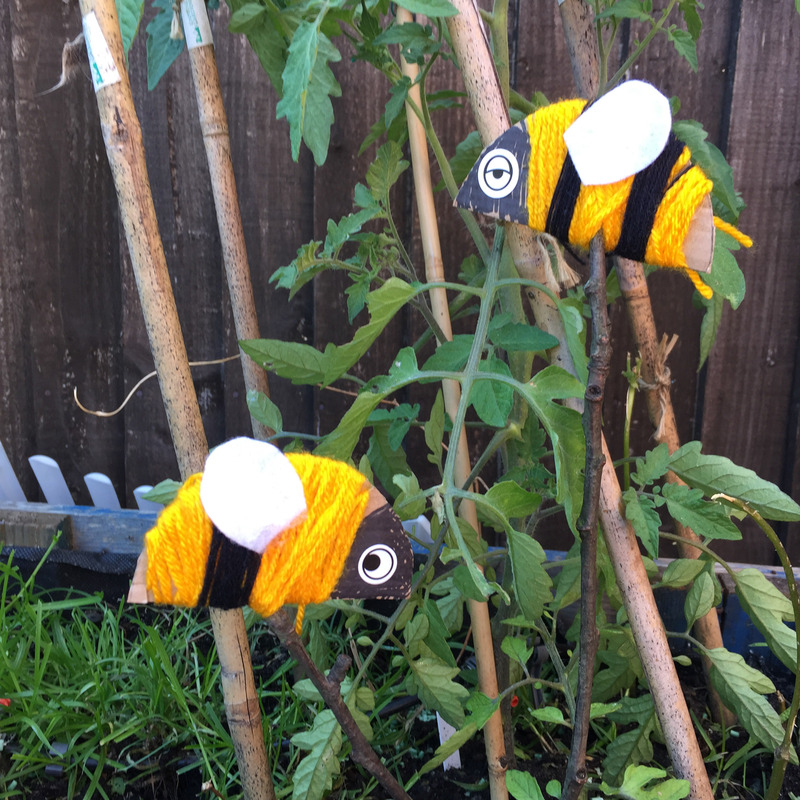 I hope you like our woolly bees and I’d love to hear if you have a favourite Burt’s Bees product in the comment below.